Chat is a delicacy that can be prepared any time and the key ingredient responsible for the deliciousness of Chaat is the Masala that is sprinkled over the mix of different food items. We offer spicy Chaat Masala, which is made using a blend of different spices to make it very versatile in use. The Chaat Masala manufactured by us is prepared from optimum quality ingredients, to ensure excellent taste and tantalizing aroma. 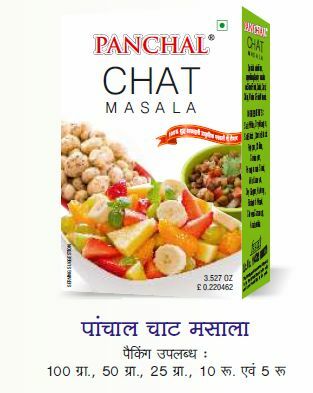 The clients can avail this delicious variety of Chaat Masala at pocket friendly prices.